Thousands of people use buses or other group transportation vehicles on a daily basis in Arizona. Unfortunately, accidents involving buses can happen and when they do, the results are often devastating. If you have been the victim of a bus accident, you should seek the help of Attorney Nathaniel B. Preston (“Nate”) to guide you through the legal complications involved with bus accidents. School buses: Hundreds of thousands of children are transported by school bus every day. Not only are school buses used for transportation to and from school each day, they also transport students to sporting events, field trips, and other school events. The buses may be owned by the school district or by a private company that has been contracted by the district or school board. Public transit: Many people choose to use the city bus transit system to get around. These vehicles may be owned and operated by the city or by a private company that has been hired to manage the local busing system and buses. Privately chartered buses: Sometimes a group of people or an organization will privately hire a bus to provide transportation. These vehicles are hired for things like sporting events, day trips, vacations, and corporate outings. A private company owns and operates these buses. Tour buses: Tour buses are typically hired for groups who are touring several locations or driving a great distance to one particular location. These buses are hired by interest groups or by professional tour companies. The buses are owned and operated by the busing company, which may or may not be affiliated with the touring company. 15-passenger vans: These vehicles are hired to provide transport for a smaller group of people. The vans are generally rented from a rental company and the group renting the vehicle will provide their own driver. What Should I Do If I’m Involved in a Bus Accident? If you are involved in a bus accident in Arizona, the first thing you should do is check whether anyone was injured in the crash. If there are injuries, you or someone else will need to call an ambulance and stay with the injured party until help arrives. If your vehicle is creating a safety hazard, try to move it so that it is not obstructing traffic. You should exchange information with the other driver, including names, telephone numbers, insurance company names, and policy numbers. You will also need to report the accident to law enforcement and call your insurance company as soon as possible. Never take responsibility for the accident, leave the scene of the crash, or provide a recorded statement to the insurance company. 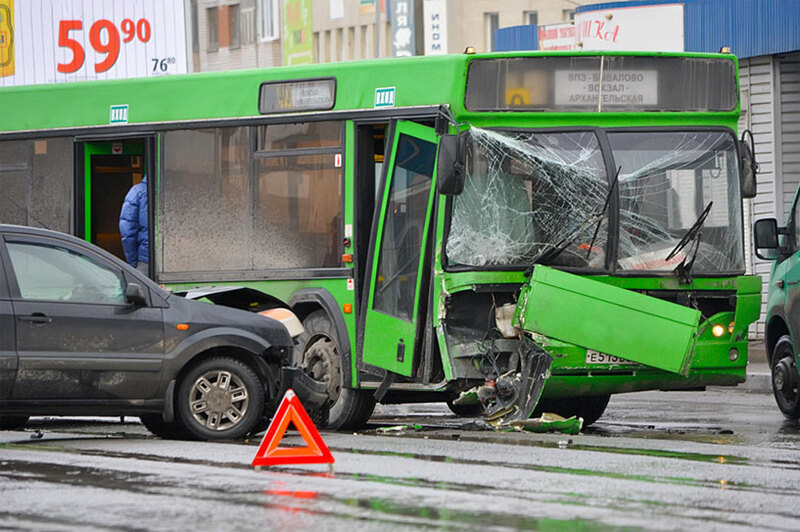 Legal liability will depend on which party is responsible for the bus involved in the accident. If the bus is at least partially at fault, liability could fall to the owner and/or operator of the busing system, whether that is the school board, the city, or a privately owned company. It is important to note that if a city or public entity is liable for your injuries, you must file a claim against the city or public entity within 180 days of the accident. Otherwise, you will lose your right to any compensation. Nate understands the different defendant scenarios and can help you sort out the complications presented by bus accidents. If you or a loved one has been involved in a bus accident in the greater Phoenix area, Glendale, Mesa, or Scottsdale, please contact Nate today to set up your free initial case evaluation by filling out the online form or by calling 602-652-2009.